Home / Business Idea / How to start a Recruitment Agency without experience? How to start an Employment Agency or Recruitment Agency business plan with no experience? Job recruitment agency is an institution that gives information about job vacancy to the aspirants. In other words, it can be said to work as a mediator in which it connects between the company and the unemployed person. It provides assistance to the one who is in search of the second job. Before starting a recruitment agency, you have to know in detail about how it works. Moreover, you have to know about the condition of the market and accordingly start the business. Even if it is the first time that you have started the agency, you should full information about vacancy offered by the companies. Therefore, before starting the business, you have to know how to gain profit from this recruitment agency. What do you understand by a recruitment agency? As mentioned earlier, this agency is an intermediary intuition which is acting between the person who is looking for the job and the company offering the position. When there is a vacancy in the company, it will contact the recruitment agency. Unemployed persons can also look for jobs when he or she has to contact the recruitment agency. Then, they will have to produce documents for the agency. The recruitment agency has to contact the HR department of the company which is offering the position. In this way, the recruitment company has to gather information and convey the same to the aspirant who is applying for the position. The recruitment agency selects the company depending on the service that they wish to cater to. After this, the recruitment agency will contact the HR department. For any vacancy in the company, the recruitment agency collects the details of the position. They gather information such as experience, qualification required and location of the job. The recruitment agency will provide this information to the candidate depending on their need. The recruitment agency prepares a list of the candidates who are in search of a job. Depending on the list, they refer the candidate for any particular position in the company. The recruitment agency is responsible to contact the aspirant and provide them the required information about the job opening. After knowing the details of the job opening, if the candidate is willing to appear for the interview, they confirm it views the recruitment agency. Then the agency forwards the request to the HR department of the company. After appearing for an interview in the company if the candidate is selected, the company has to pay some commission amount to the recruitment agency. In this way, the agencies are earning money. When a huge number of referred candidates is hired in the companies, the recruitment agencies are able to earn well. What information is required for opening a recruitment agency? Before starting a recruitment agency, you have to research well so that you can succeed well in the business. What are the different types of recruitment agencies? Different types of recruitment services are provided by the agencies, you have to select the one depending on your need. Through this, you will be able to look for the job in a particular job. Accordingly, you have to update the aspirants. You have to select the right sector of the industry depending on your experience. Some types of recruitment services are given in the following part of the article. Therefore, the recruitment agency help aspirants get jobs in other departments as well. Ifyou have any stronghold or references for any particular department, you can try to open your agency providing candidates for that particular department. However, try to provide service for the department which is in great demand in the market. With rising competition, you have to understand the requirement of the job aspirants so that you are able to set up your agency properly. Before opening a recruitment agency, try to gather information on some topics which are mentioned in the following part. Before starting the business, you should try to know about the present requirement of recruitment agency in the market. The agency shall help you find the department where vacancies are available. Also, you can analyze the department in which people are interested in working in and depending on that, you should open your recruitment agency. Since there are several recruitment agencies in the market, you should try to know about the competition in the market. In this way, you can set the information accordingly that you have to offer to the candidates. Therefore, it will make it easy for you to compete with your competitors. You have to set the fees, quality, and market promotion depending on what is offered by other agencies in the market. You have to set your strategies in such a way that you are able to maintain a prominent position in the market. How work experience matters when opening a recruitment agency? If you have opened a recruitment agency on your own, make sure that you have adequate knowledge to run the agency. Having a good knowledge of the required points will help you to achieve success in the business and deal with your problems easily. If you have less information about the consultancy agency and you have never worked in the agency, try to work with such a person who is well versed about this kin do agencies. When opening a recruitment agency, it is important that you have to do certain things. By following these things, you can easily operate your recruitment agency in the market and maintain a prominent position in the competitive market. In this way, you can also attract more aspirants to seek assistance from your recruitment agency. Since most work is done via the online mode, it is necessary to have desktops or laptops. In addition to this, desktop and laptops should have a stable internet connection. There are some job portals, and aspirates can get the job only through those portals. Therefore, to run a recruitment agency successfully, you have to install job portals such as naukri.com in the systems. Through this portal, you can help job aspirants to get their desired job. You have to provide a contact number through job aspirants will be able to contact the recruitment agency directly. In addition to this, a registered email address should be given for the help of the job aspirants. If the company has been started on a large scale, it is important that the company should experience staff that can provide the required consultation service to the job aspirants. The services provided by the recruitment agency can be done through phone calls or email service. But in case, you are planning to set up an office, you should look for the right location. Try to choose a location which is in the middle of an industrial area. 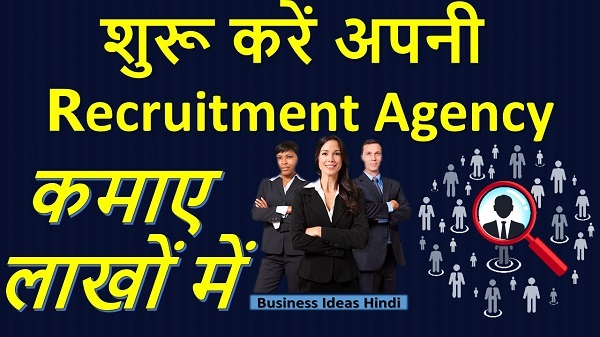 This will help to get more job aspirants coming to your recruitment agency in search of a job. Before setting the recruitment agency, you should find out well about the condition of the location. Try to find out whether there is internet connection, electricity and water facilities so that the agency can be run smoothly. The location should be convenient for the job aspirants to reach the location easily. It is important to register the recruitment agency that would help people known about the agency well. By registering your company, clients will be able to trust the service that the agency provides. You can opt for the registration process from your home. In addition to this, you have to open a private limited firm. However, you have to follow the following points in order to go through an easy registration procedure. Choose the company name – When choosing the name of the recruitment agency, make sure that the name you have chosen is not in use. Try to choose an easy one so that people can easily remember it. In this way, they will be able to attract more clients. Choose domain – Before creating a domain, you have to choose the name of the domain. You can opt for any name, but you have to put .com, .in, .co as the domain name. Bank details and insurance – There should be a bank account which is linked with the company. In addition, the company should be an insured one so that you can make up for small losses and take necessary legal steps if required. Employee insurance – The employee who you appoint in your recruitment agency should be insured one. Therefore, it is the responsibility of the company to look after the safety of the employees. VAT registration – When planning to open a recruitment agency, opting for a business license is similar to VAT registration of the company. Depending on the turnover of the business, you can apply for VAT registration. How to select a recruitment agency team? For team selection, make sure that you have to choose the people properly. They should have the experience to carry out the agency task properly. You have to know that the growth of the recruitment agency will depend on the experience of the employed staff. Apart from this, the recruiter should be responsible for choosing the right team of people who will run the recruitment agency. Therefore, it is important that the recruiter should be a knowledgeable person. In addition, the recruiters should have proper knowledge about the condition of the recruitment market. So, the recruiter has to test the confidence level, qualification of the people you are hiring in your agency. How to get a client for your recruitment agency? Depending on the type of recruitment agency that you are running, make a list of some of the small companies. After this, you have to visit the offices and contact the HR department. You have to talk with them with confidence so that they are convinced to work with your recruitment agency. Your confidence and reputation of the agency will help to attract more clients. After meeting the HR team, follow-up is an important part. Try to keep in touch with them via email or phone calls so that they are interested in seeking assistance from your recruitment agency. If you are the sole owner of the recruitment agency, the HR team will contact you for any employment assistance. The experienced employer might also be in touch with some top-rated companies. They can try to get in touch with those companies that would help them create more client contacts. You can use social media accounts such as LinkedIn to get in touch with clients. If you are planning to open the recruitment agency in a small scale, a lot of costs is not involved in opening the recruitment agency. The cost involved depends on a number of factors. Some of the factors are mentioned in the following part of the article. When starting the recruitment agency from your home, you do not have to pay any rent. But if you rent a place for opening the agency, you have to pay monthly rent. The rent amount of the office would depend on the city in which you are getting the rent. A computer or laptop is required to start a recruitment agency. After the initial investment, you have to spend some money on its maintenance. Similarly, you have to spend money on buying ACs, fans, lights and other systems in the initial stage of setting up the recruitment agency. In addition, you have to pay different bills on a monthly basis. Cost of business registration, business licensing, cost of creating the website and other expenses are also involved in the initial stage of starting the recruitment agency. Though, these are one-time investments. If you have appointed employees, you have to pay them on a monthly basis. Even if you do not pay them initially, after certain months, you have to pay them. There are other expenses as well such as job portal subscription, expenditure of meeting clients and others. If you wish to follow the above-said points, you will have to spend rupees 1 lakh to 3 lakhs on a monthly basis. It can be a little less if you start the business on a small scale. With a good level of experience, you can take the risk of starting the recruitment agency business on a large scale. How to opt for job portal subscriptions? Since opening a recruitment agency is a job-related business, you have to gain a proper idea about the employees. You have to subscribe with some job portal sites. By accessing the job portals, you will get to know about the details of the candidates who are searching for jobs. From the portals, you have to download the resume of the candidates and contact them. If the service provided by yourrecruitment agency matches the candidate’s resume, you can contact them. In this way, you can provide them assistance to get a job in the desired sector. The subscription to the job portal is available in different terms. You can take the subscription for one month, three months or one year. Therefore, you can take it depending on your needs. The subscription would depend on whether you are planning to open a large scale or small scale business. How to market for your recruitment agency? In order to run the recruitment agency smoothly, you have to ensure that you plan strategically for its marketing. People should know how to contact the recruitment agency and get the required service from the agency. As many marketing methods are available, you can opt for methods such as placing the template, create a banner, through advertisement in social media platforms, advertisement in job portals and others. Make sure that the advertisement should reach the target audience, and they get to know about the recruitment agency. Other than this, you can also send text messages and opt for verbal publicity. If you choose the path of honesty, you can easily market for the recruitment agency service that you are offering. Therefore, with rising competition, it is important to be able to maintain a proper position in the market. So, it calls for effective marketing strategies. To know about the benefit of the company, you have to calculate the total expense and earning. Once you become a reputed and trusted client in the market, you can earn more benefit for your business. What are the risks involved in a recruitment agency? Little risks are involved in running a recruitment agency, but by avoiding some problems, the risks can be eliminated. Read on to know more about the losses involved in this kind of business. When getting in touch with any client, try to know about the reputation of the company. Once you get in touch with a bad company and the candidate is employed in the company, the career of the candidate might get ruined. In this way, the reputation of the recruitment agency will be affected. Therefore, before relying on any company, try to know about the reputation of the company. Along with knowing about the company for which you are sending the candidate, try to know about the person applying for the job. You have to run a complete background check to ensure that all his qualification documents are true. There are candidates who even after accepting the offer letter, do not turn up on the joining date. Therefore, it is the responsibility of the recruitment agency to get it confirmed that once the candidate has got the job, they will join for the same. Try to guarantee the candidates to some extent. Therefore, starting from calling the job seeker for the job until he or she joins the company, it is the responsibility of the recruitment agency to handle it properly. You also need to have a good job experience when dealing with job interviews in different departments. Since you have to convey information to the candidate about the job description, having experience will help. However, it can be seen that the recruitment agency business are profitable if you are able to run it properly. You should know about the market well and the tactics in which you can get more clients. Since getting a job is an important phase, the recruitment agencies help the candidates in getting the job opening of their choice easily. Also, there are several recruitment agencies available in the market. You have to search for a reputed one that would help candidates follow the right path in finding their dream job.